Although the latest statistics for Employment Tribunal cases show a fall in the number of cases, from 189,300 in 2007/8 to 151,000 in 2008/9, our experience is that employers are still struggling to defend their actions in employment law cases. The overall fall in the number of cases masks an increase in claims of unfair dismissal, breach of contract, redundancy and also disability discrimination. So what can you HR managers, business owners and senior managers do if facing employee disputes which may be heading for an Employment Tribunal? It is crucial that you obtain an accurate summary of the likely legal costs of defending a case at an Employment Tribunal. You need to understand the full business costs, the legal costs and also time likely to be required to deal with the dispute. Your lawyers may be bullish in their estimation of the likelihood of success but do make sure their assessment is realistic and that you don’t get wrapped up in fighting a case you really should resign and chalk up to experience. Before you make any decisions or draw too many conclusions do discuss the situation with someone independent from your case. In a large organisation this might be the HR team, in a smaller organisation it might be a Board member or fellow manager. Don’t necessarily look to them for legal advice, but instead use them as a sounding board. Facing any employment dispute can be emotionally draining – and made more so by facing it alone. Acas provide an excellent service giving free support. If there are free support mechanisms in place, by all means use them. The main word of caution here is to make sure you act only on advice that is specific to your case. Advice from well meaning amateurs who’ve gone through something similar to your case could be disastrous as it’s unlikely to take into account all the circumstances you face. Within any negotiation it is crucial to avoid being self absorbed, and to focus on what the opposition is saying. Considering and anticipating what the employee is thinking and feeling could help prevent disputes in the first instance and will certainly make it easier to come to mutually agreeable settlements, hopefully without going to Tribunal. One of the key things in dealing with any negotiation is to try to establish what the perceptions and feelings of the other side are. Any exchange of correspondence will give you clues to how they are feeling and likely points where you might be able to come to an agreement. Maintain a thorough record of what has happened. Exchanges of emails, notes of conversations, evidence from others should all be captured as fully as possible. This will make it easier for you to brief your solicitor and make your defence should the case go all the way to an Employment Tribunal. When I am fighting a case it is not just a case of dealing with the day to day issues which are cropping up, but also getting a sense of strategy to try to take things further forward. This can include thinking about which witnesses will attend Employment Tribunal, at what point in the case one should propose mediation and at what point should any proposals of settlement be made. Prevention is always better than cure. If you can train your managers and supervisors in the effective management of disputes you are unlikely to have problems that go all the way to an Employment Tribunal. Training represents an effective way of improving employee behaviour and minimising the risk of disagreements with employments going all the way to Court. In an attempt to keep problems in-house or minimise costs there can be a tendency to try to deal with disputes internally. Unless you are a large organisation where it is possible for the individuals personally involved in the dispute to be separated off from those dealing with it, or where you have specialist legal expertise in-house (and by that I mean a lawyer who is fully up to speed with employment law) this can be false economy. Dealing with an employment dispute in-house can be very difficult. How can you ensure you remain dispassionate and leave your own personal feelings about the individuals involved behind? Can you look clearly at the circumstances and see all sides of the argument? The answer is unlikely to be yes, so external advice is essential. If the case goes all the way to Employment Tribunal it can be very tiring and taxing on emotions and you will be even more reliant on the legal expertise of your solicitor. If you can avoid an Employment Tribunal then do – they are expensive, time consuming and emotionally draining for all involved. Mediation is used very effectively to resolve employment disputes. In mediation a neutral third party looks at your case and helps the parties involved come up with a solution. Mediation works in at least 80% of cases so represents a positive way forwards. In the current economy, as the latest Employment Tribunal statistics show, there are more cases of unfair dismissal, disputes over redundancy pay and breach of contract. Get your employment practices right, train your staff to follow a clear set of rules and procedures and you will prevent many of the circumstances that cause such cases being bought. But sometimes, in spite of your best efforts a case will be bought. In those circumstances keep complete records, take specialist advice and consider all the consequences before deciding whether to fight or settle. Defending a case at an Employment Tribunal is never a pleasant experience but you can certainly be prepared and give yourself the best chance of success. For advice on avoiding or defending Employment Tribunal cases call Justin Patten on 0844 800 3249. 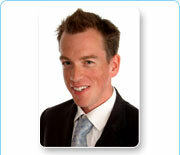 For advice on redundancy, dismissal and employment for the older worker contact Justin Patten of Human Law Mediation.